Source: Kitchener Public Library card index. Originally attested 18th Bn. 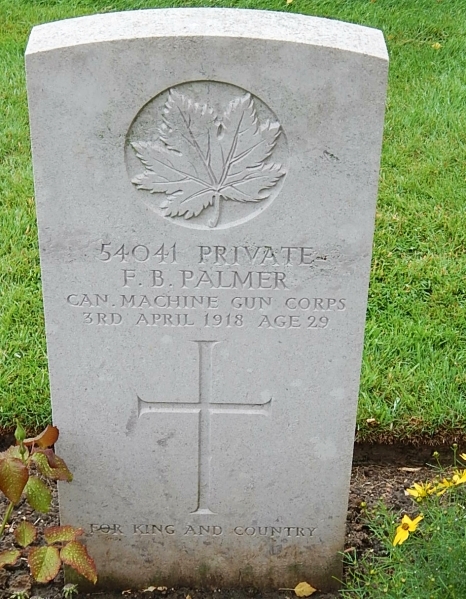 and died serving with 4th Brigade Canadian Machine Gun Company. 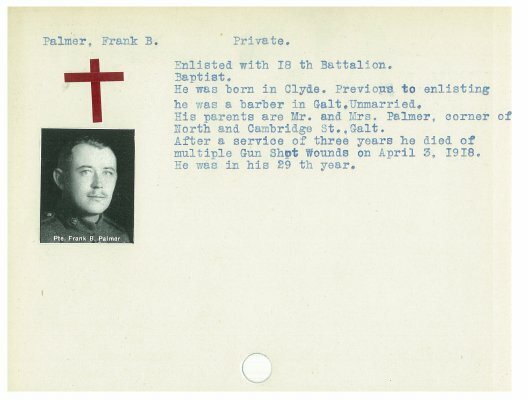 Private Frank B. Palmer, reg. no. 54041, originally of the 18th Battalion. Source: CVWM. Enlisted with the 18th Battalion. He was born in Clyde. Previous to enlisting he was a barber in Galt. Unmarried. He parents are Mr. and Mrs. Palmer, corner of North and Cambridge St. Galt. 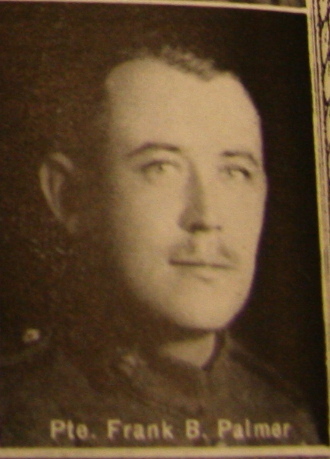 After a service of 3 years he died of multiple Gun Shot Woulds on April 3, 1918. He was in his 29th year.